Say “yes” to utter sophistication. To a tranquil escape at one of the most beautiful travel destinations in the world. To gourmet cuisine, top shelf drinks, and design touches that will make your jaw drop. Say “yes” to one of Southern Travel Agency’s all inclusive adults only vacation packages! if you’re ready for some serious relaxation, we know just the right luxury resort for you. Our team is skilled at pairing clients with the kinds of vacations they crave. 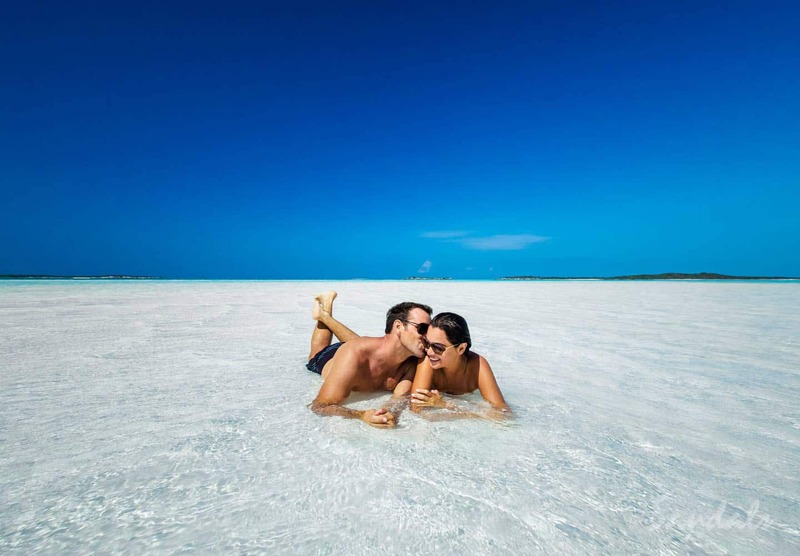 Whether you’re looking for a quiet adults only escape filled with plenty of poolside lounging, or you crave a party atmosphere at a resort that stays pulsing all night long, we can craft the perfect vacation package for you. Our dedicated Southern Travel experts will work with you to build a customized travel itinerary tailored just for your needs, using our network of worldwide travel contacts to book you the best tours, transfers, accommodations, and more. Click on the button below and let our travel experts start building the getaway of your dreams! 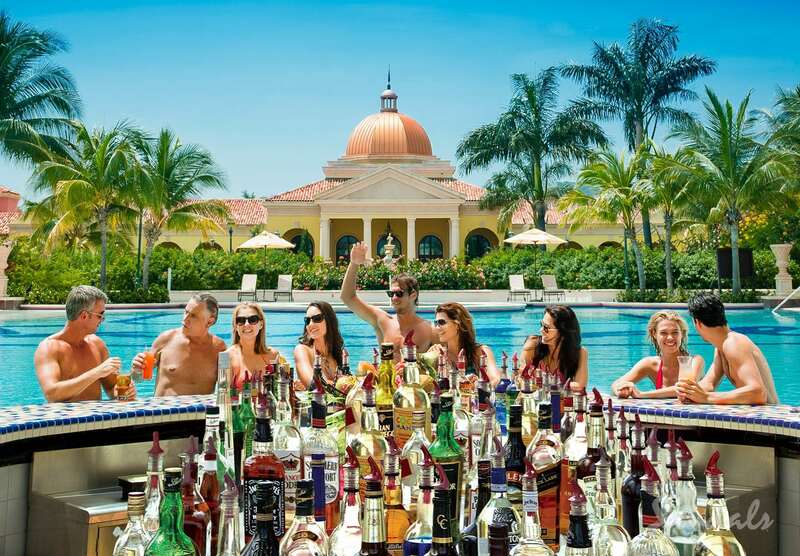 The incredible all inclusive adults only resorts below were designed to cater to the whims of adult travelers looking to indulge in utter sophistication. Keep in mind, however, that our travel experts tailor each all inclusive adults only vacation package to fit your needs, budget, and preferred travel style. Once you fall in love with a resort, we’ll help you customize your stay to maximize the fun! 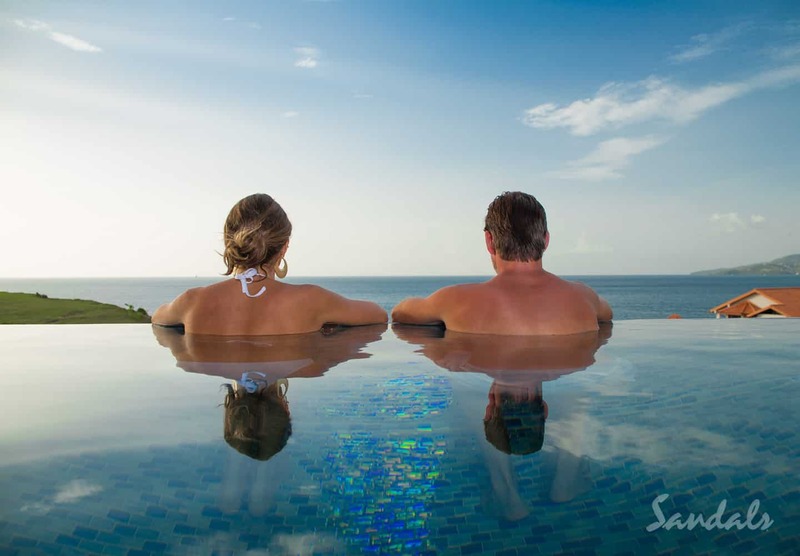 Top All Inclusive Adults Only Vacation Packages and Resorts – Where Do You Want To Go Next? 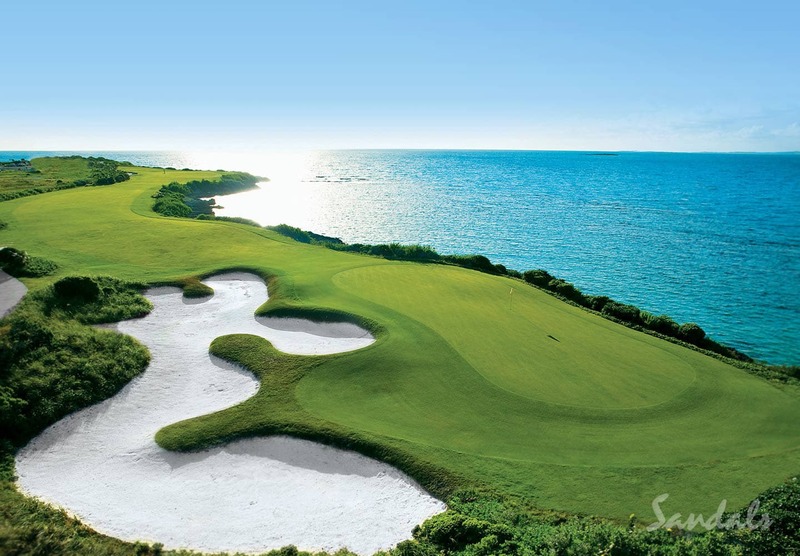 With a mile of white sand beach and serpentine swim up bars, Sandals Emerald Bay Golf, Spa and Tennis Resort at Great Exuma in the Bahamian out islands represents the ultimate adult-only vacation experience. Let our certified Sandals travel agents build your dream vacation for you! 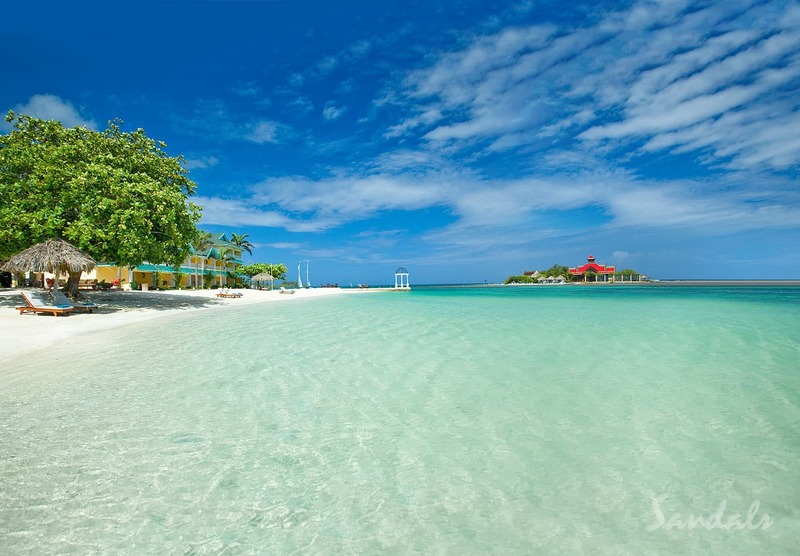 PS: Don’t forget to check out our Sandals vacation deals. 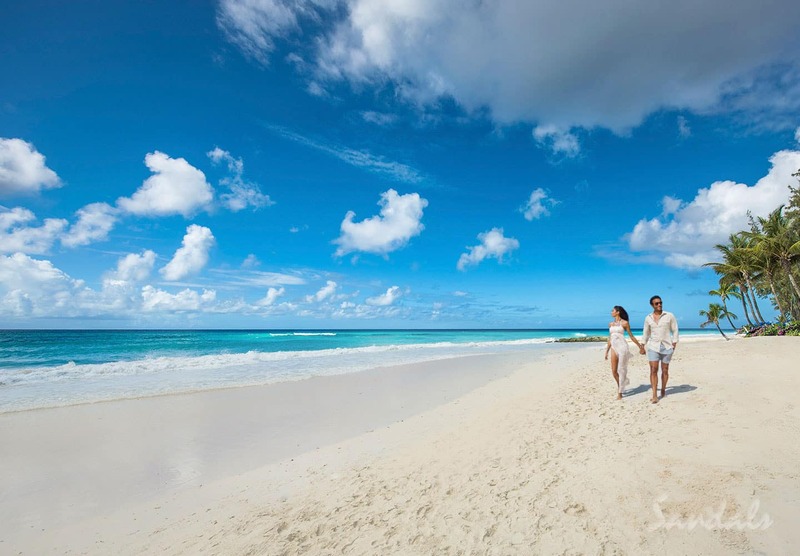 Our certified Sandals travel specialists are here for you to make your dreams come true! Escape to one of the most breathtaking destinations on earth for VIP pampering. 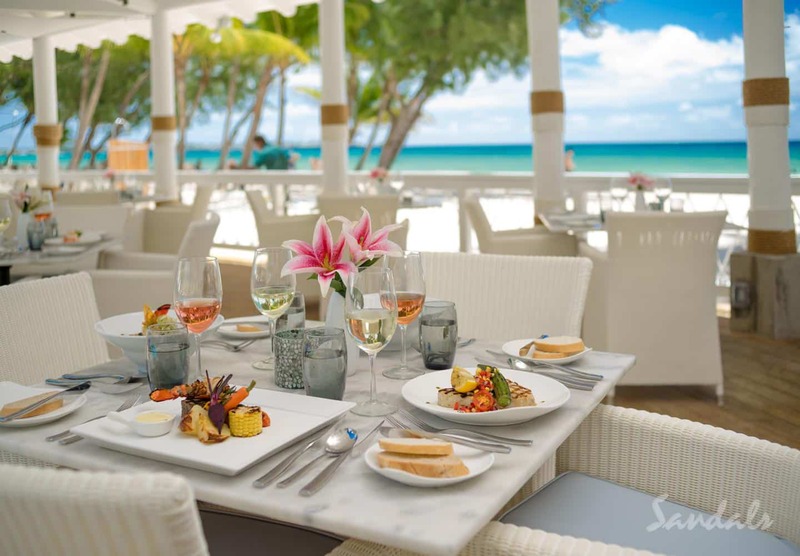 At Sandals LaSource Grenada, one of the most luxurious resorts for adults only, an exceptionally attentive staff attends to your every whim. Let our certified Sandals travel agents create your personalized dream itinerary for you! 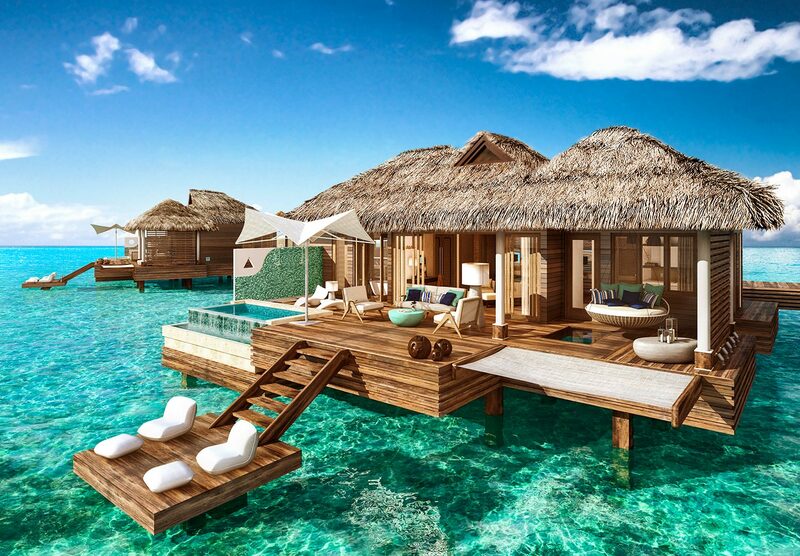 Sandals Royal Caribbean: In addition to top-notch amenities and service, Sandals Royal Caribbean just introduced a concept sophisticated vacationers will love — over-the-water bungalows. 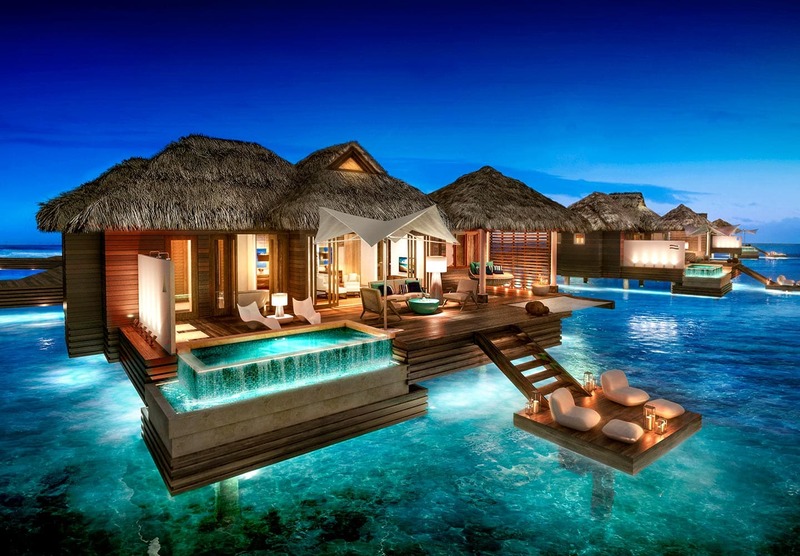 These ultra-luxurious bungalows make you feel like you’re floating in the middle of the bright blue sea! Talk about a once-in-a-lifetime escape. 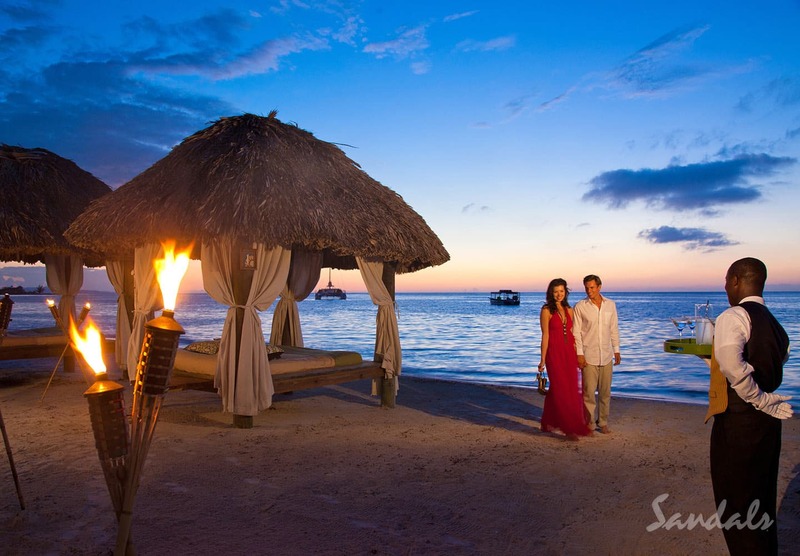 Sandals Montego Bay: Looking to indulge in a whole lot of fun with your spouse or friends on vacation? 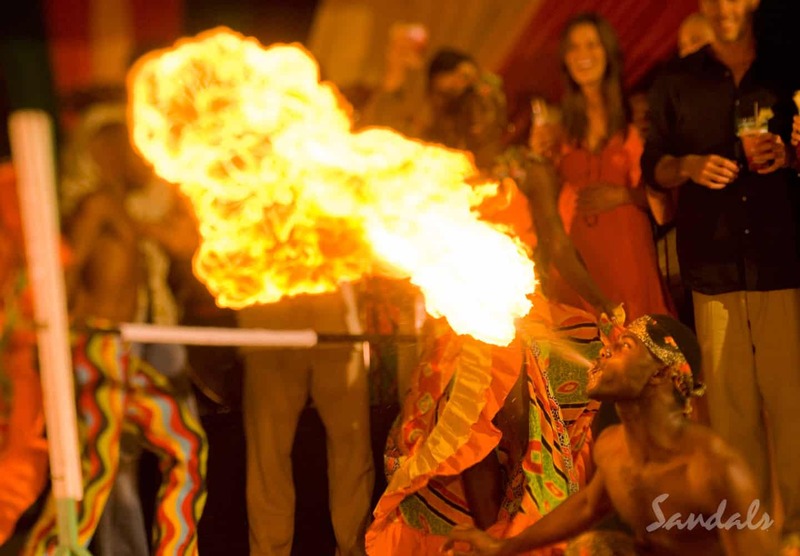 Head to Sandals Monetgo Bay, where the party vibe is always turned up to 12! Sip on top shelf drinks while you dance the night away or take in some evening entertainment. There’s plenty of opportunities for alone time, too. Opt for a romantic private dinner on the beach for a night you’ll never forget. 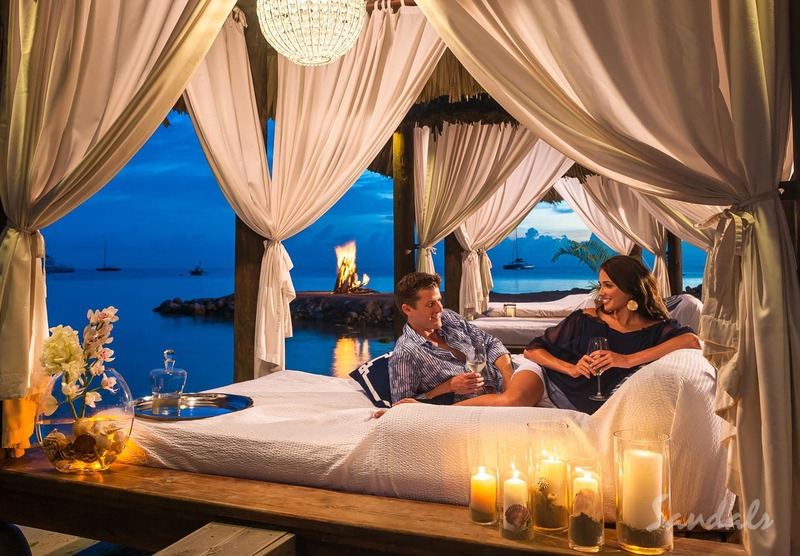 Couples Negril: This upscale resort focuses on creating the most romantic atmosphere possible for guests. It’s the perfect choice for an adult escape with your favorite couples! 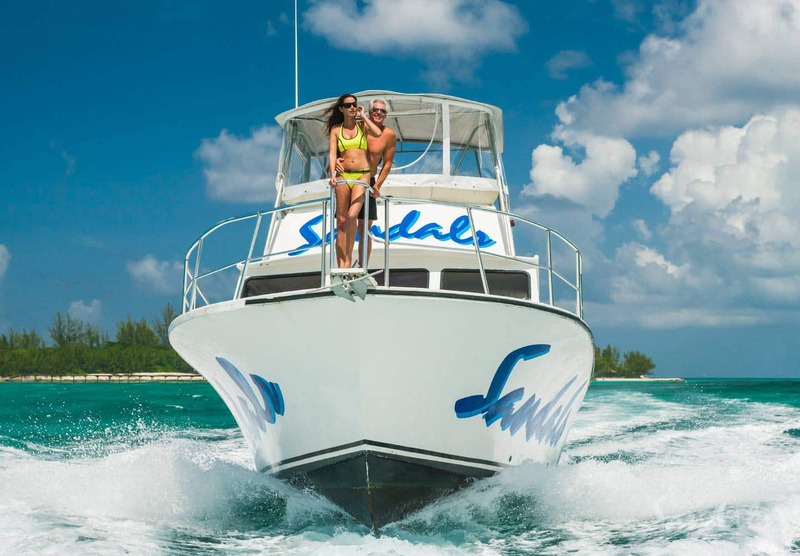 At Couples Negril, you can connect with each other with a sunset cruise, cocktails in front of a bonfire, or a relaxing soak in one of four jacuzzis. Turn up the heat with an all-inclusive adult-only escape to Cancun! Stay at Palace Resorts in Mexico, for powder white sand beaches — plus plenty of pampering and partying. This legendary area of Mexico is the perfect escape for a vacationers looking to experience the best of luxury and nightlife. Not sure which resort best fits the vibe you yearn for on your sophisticated escape? Interested in learning more about the incredible activities a particular resort offers? 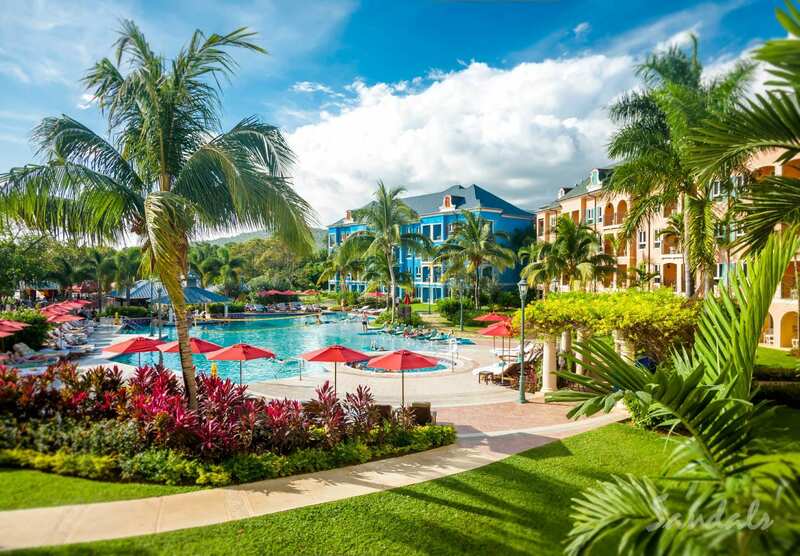 We can’t wait to serve as your all inclusive adult only resort guide! Our travel experts have access to key contacts at the top all inclusive resorts around the world. With nearly 30 years of experience, our expertise means we’ll help you find the PERFECT resort for your needs. Get ready to plan your trip to perfection! If you can, be flexible with your desired vacation dates. You can get an incredible value during a resort’s “shoulder season” — though even being flexible about arriving and departing during the week, instead of the weekend, may make a discernible price difference! 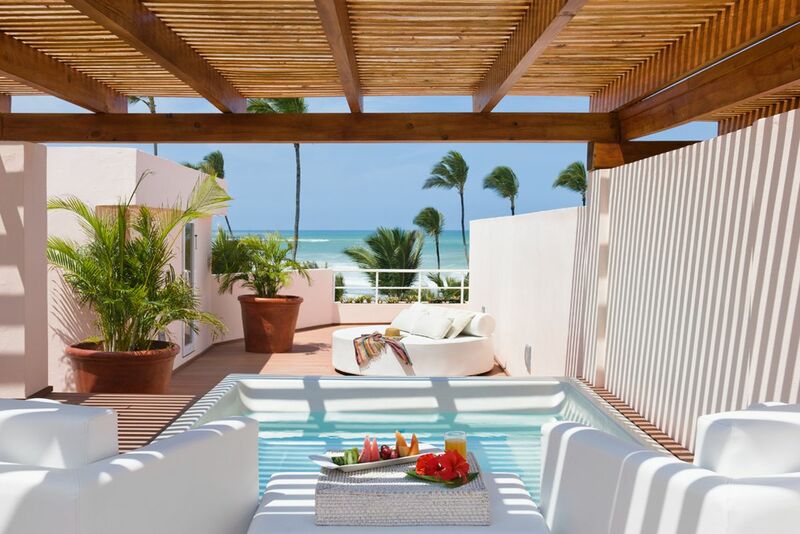 Booking a room with a walkout balcony or patio can make a big difference to your trip, if you crave intimacy. There’s nothing better than watching the sun set, pina colada in hand, from your own private oasis. Contact our team. Just click the button at the bottom of this page to share a few details — like your preferred location, budget, and tentative dates — with our team. Flesh out your dream. Next, we’ll work together to start fleshing out the details. We can schedule a complimentary consultation call so you can tell us all about your vacation dreams and the result you want to see. Or, we can work out details over email — it’s up to you! Plan your getaway. Then, our travel experts will get to work bringing your details to life! We’ll present you with a few itinerary options to choose from. We’ll also work with you to refine your preferred itinerary until it represents the honeymoon you’ve always dreamed of. Sit back and relax! We take care of all the booking details for you — from flights to accommodations, tours, and even dinner reservations — so you don’t have to lift a finger. Enjoy on-call support. Jet off to your destination relaxed and reassured that your have STA experts in your corner. If anything unexpected arises during your travels, we’re only a phone call or email away. Rest easy while we help you sort out any travel hiccups, big or small. 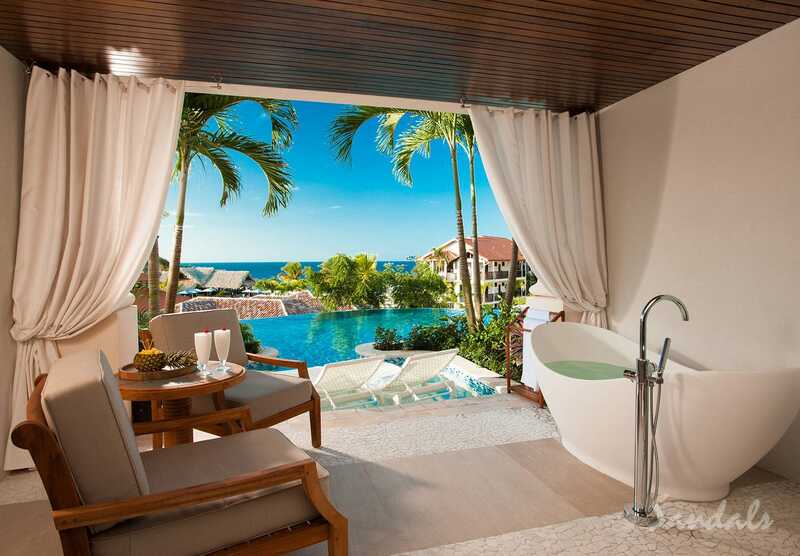 Ready to start planning the utterly relaxing tropical escape you’ve always dreamed of? Our Southern Travel expert team in Augusta, Georgia, and our online travel advisors can’t wait to help! Get in touch to start turning your travel dreams into reality today!